1 Year Free Upgrade & Unlimited Support For All Editions. All licenses are perpetual. If your purchase is over one year and you still want to get upgrade versions, you need to pay half of full price to extend upgrade. DNNSmart Super Form is a powerful and flexible form module and you can learn how to use it very quickly. It can allow to add several steps in the backend and configure how many feilds in each step and field type. By using this module, you can custom template of each step and e-mail template. 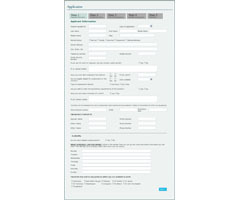 It has a intuitive User interface that helps you to create forms easily. You can setup one payment form, responsive form, localization form, slideout form, popup form and so on through using this module. Form can support responsive and form will look suitable in any device. You can add several steps in the backend and configure how many fields in each step. It can allow to custom template of each step. When you add fields in the back-end, there are 11 kinds of control types which can be chosen by you. If select option "Email(Notify)", the form submitter will receive a email contain submit data. When submitters submit a form, system will send one e-mail which is defined well in module backend to submitters automatically. In module back-end, you can view data submitted by users and export these data as CSV file. When you spend much time on configuration on the site and you also need to apply this module configuration on another site, this function will be useful for you. You can configure to display one piece of information or redirect to one URL after users submit form. In the back-end, you can manage all kinds of templates, you can achieve form layout as you want through modifying templates. You can upload, edit, export and delete themes. You can create a new Theme through these functions. Added option "Display Reset Button". After clicking "Reset Button", form will be reset. When you add fields in the back-end, there are 10 kinds of control types which can be chosen by you. We added option "Display Confirm Page". 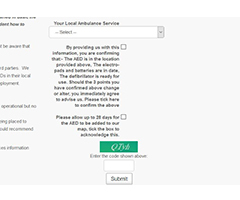 If this option is enabled, it will be redirected to confirmation page before users submit form. After users click suspending button on the side of webpage, form will slide out from the side smoothly. After users click button on the page, one form will pop-up to the middle of the page. 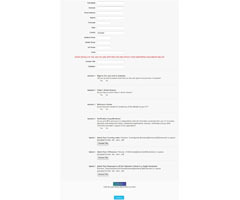 After users click "Submit Form" button on the top of webpage, form will slide out from the top smoothly. 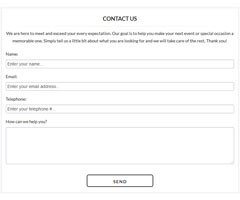 This form can fully support localization including any element, email template on the interface and so on. In the back-end, you can configure form as one registration form. After visitors submit information, visitors will be registered as website users. You can create one flexible calculate form which can be used to calculate one total amount. This is upgrade version of Calculate Form. 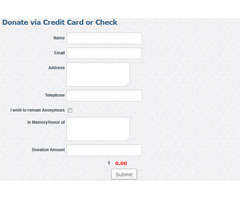 Users can calculate one price through this form and then make payment. When registered users fill form on the half way, users can keep form temporarily. 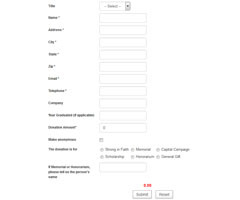 Then users reply next time, the form will proceed being filled out. In the back-end, you can define one piece of sql query. After users submit form, this piece of sql query will be executed. After submitting form, you can configure it to send data to one URL as "POST" or "GET" type. Dropdown list, checkbox list, radiobutton list and listbox these four kinds of controls can support this feature. After enabling this feature, form submitters can print their own forms through clicking "Print" button. Admin can go to module back-end and configure logged-on users being assigned to some roles after submitting form. As long as title of field and User Profile is the same, Textbox field of the form will automatically load Profile information of log-in users. 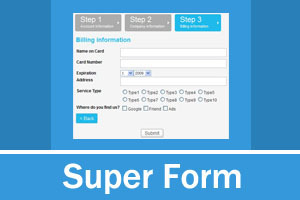 I was testing out several form applications and tested several, when i got to Super form. Needless to say i was done testing. i love the interface and ease of custom-ability. I had a form up and testing in no time at all. Before you buy any form module you gotta give this one a try! Candice and her team at dnnsmart.Net are great. Support is excellent. Activation codes are prompt. Will be a continued loyal customer. Module customizations are quickly turned around. All in ALL Excellent DNN coding company. This module is awesome! With full features, it's easy to use, even if the forms are complex. I have purchased a lot of different modules for many years on here and the team at dnnsmart are by far some of the best support I have ever received, and their products are wonderful. I have several of their modules, and I am constantly amazed at how quickly they respond to my questions and how good they are at taking care of my issues. Excellent modules, excellent support...what else is there to say? Highly recommended! Standard version: The standard license allows the activation and use on only 1 DNN portal, this portal can be main portal or sub portal. Professional version:The professional license allows the activation and use on all portals within one DNN installation/instance. Enterprise version:The enterprise license allows the activation and use on an unlimited number of DNN portals and installations owned by you or your clients. Source code version:This version can include one enterprise license. After you purchase this version, you can change the module according to your need. But you can't redistribute or resell it. You can freely upgrade to all new versions we publish within one year after your purchase. Pay for upgrade when your purchase is over one year. When your purchase is over one year, you can pay half cost of purchased version to extend the following one year's upgrade. No matter which version you purchased, we can provide free support. In order to purchase correct modules you need, please download module trial and have a look at our sales page & product demo carefully before you order them. We have following rules regarding refund issue. 1. Within 30 days of your purchase, we can provide a full refund if there’s any error or bug which we can’t solve. 2. No matter how long you have purchased our modules, we can’t grant any refund in following cases. A, Modules don’t have any error or bug which we can’t solve. B, You don’t know how to use our modules as you’re lack of basic DNN knowledge. C, Errors appear on your site, but they are not caused by our modules and they are caused by the third-party products. D. You purchase modules by your own mistake. E, You purchase source code version of our modules.